The Minisodes here in the second half of Season Three have a new focus: The Gomernation! Monday Survey Results and Listener Feedback are the name of the game, and the Gomers have a new way of discussing the Nation’s thoughts and questions: Feedback of the Week. Each Minisode they’ll choose an email, Facebook post, and twogomers.com comment that stood out to them and discuss. This week, they tackle mistaken identities, extreme races, Chick Fil-A comedy routines, and the identity of the Gomer on a certain game-changing 90s TV show. See you next week, and Happy Running! 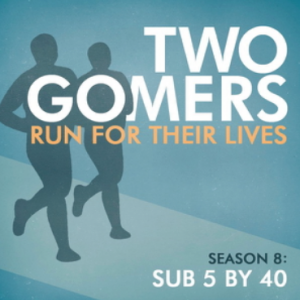 Sorry I didn’t tell you guys this before, but: I’d gotten behind in my Gomer listening, just as I’d gotten out of running entirely (and, consequently, gotten quite fat). But I started running again two weeks ago, and have been catching up with this season of the Gomers. I was struck by two things: (1) I so appreciate your honesty in facing your difficulties in finding your stride (har har) this season, and am thrilled that it’s led you to this invitation to the Gomer Nation to join you in Minneapolis! Still trying to work that out myself to be there. (2) I was asking myself: “Where did Bock Hop go?? ?” 🙂 Glad to hear him back where he belongs. 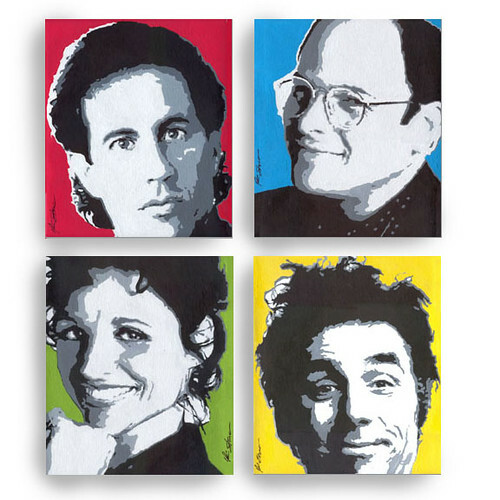 The true Gomer is definitely Seinfeld. Although, I think that Elaine is a very close second. Listened to you guys post run on my iPod the other day. You were talking about fasting from fast food while I chowed down at Noodles and Company. They have a new mac and cheese dish with portobello mushrooms, bread crumbs and Parmesan on top. I asked for the dish with only half the cheese sauce (lactose intolerant). They literally poured the cheese sauce on half the noodles, left the other half plain. It was pretty funny.